Special issue on Ornithological Congress of the Americas now online! 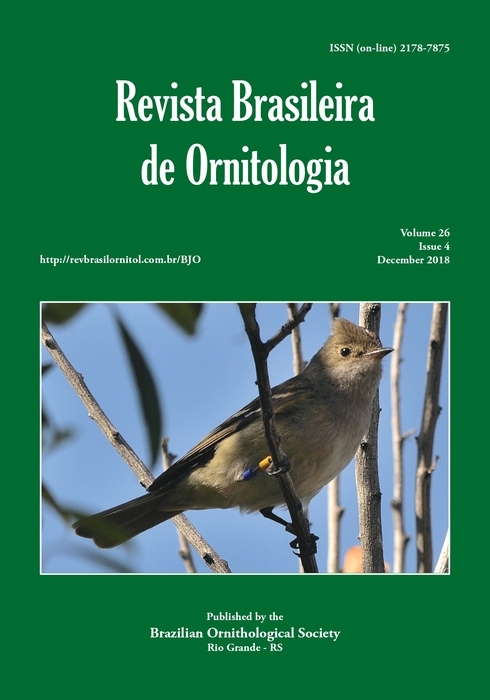 The Brazilian Journal of Ornithology publishes articles, notes, comments, reviews and editorials on ornithology in general, with emphasis on Neotropical birds. It is indexed in databases Zoological Records, Biological Abstract and Scopus.